TOKYO (Bloomberg) -- Baosteel Group Corp., China’s largest supplier of auto-sheets, said Nissan Motor Co. is evaluating its products for global purchasing as the Japanese carmaker seeks to lower raw material costs. This is the first time a Chinese steelmaker has been selected for evaluation as a global supplier to Japan’s third-largest carmaker, the Shanghai-based mill said in a statement on its website. The move underscores the rising competition Japanese steelmakers such as Nippon Steel Corp. face from China, where exports last month jumped to the highest level since September 2008. 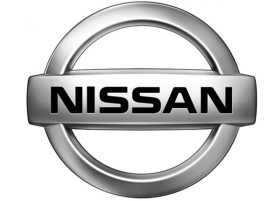 Nissan Motor is predicting that North American sales will rise 13 percent this fiscal year, and is planning to boost production capacity in China by almost 70 percent by 2012. Baoshan Iron & Steel Co., the listed unit of Baosteel, closed unchanged at 6.15 yuan in Shanghai. Nissan Motor rose 1.9 percent to 655 yen in Tokyo. Winning acceptance as Nissan Motor’s global supplier will help reduce Baosteel’s reliance on the Chinese market, where it has more than half the market share. Domestic demand is weakening from automakers, Baosteel said July 5 in a statement. Nissan shall “combine its development of new models and lighter cars with cooperation with Baosteel on technology research to lower costs and on sourcing raw materials from China,” Baosteel said in the statement. The steelmaker is already supplying products for all of Nissan car models in China, Zhang Wei, a media official with Baosteel, said today by phone. Baosteel supplies to Dongfeng Motor Co., a venture between Dongfeng Motor Corp. and Nissan Motor, in the nation. Japanese steelmakers may be seeking more suppliers as domestic mills pressure them to accept higher steel prices. JFE Holdings Inc., the nation’s second-biggest mill, said June 22 that it expects automakers and other customers to accept higher steel prices as raw material costs rise. Hayato Uchida, a spokesman for Tokyo-based Nippon Steel, Japan’s largest steelmaker, declined to comment. Mitsuru Yonekawa, a Tokyo-based spokesman for Nissan, declined to confirm or deny whether the carmaker is evaluating Baosteel’s products.